This man, this awesome man, brings music to my life. And humor and understanding and compassion and love and the very best hugs. I am the lucky person in this relationship, this I know. 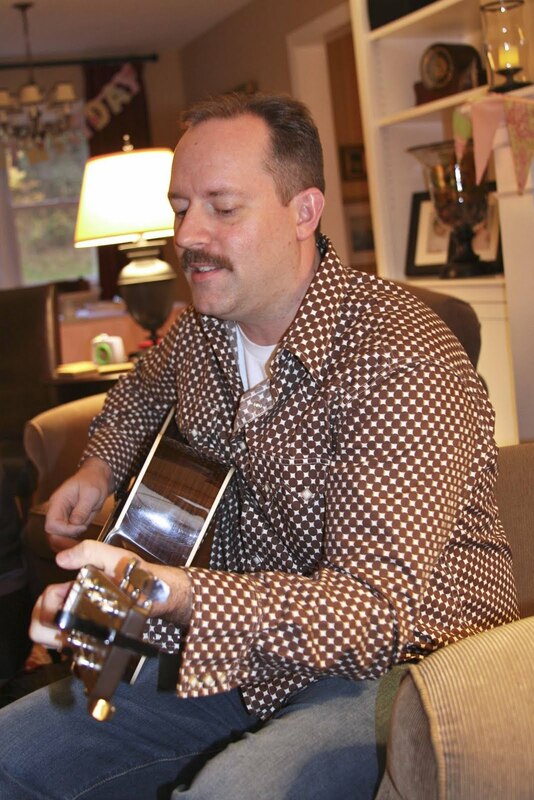 This 2008 photo shows Gordon playing the guitar, and probably a George Strait song if I know my man, at Victoria's 3rd birthday party. Well, guess what? This hottie turned 40 yesterday. Yep, the big Four Oh! Go here for an explanation, a blog button and an invitation to join our 52 week journey of discovery! We'd love to have you join us...just jump in now and see where your photos take you. Hope Gordon had a super day! How did the 40things album turn out? @Scrappy Sue - I'll be sharing the 40Things album next Wednesday. It was a HIT, btw!